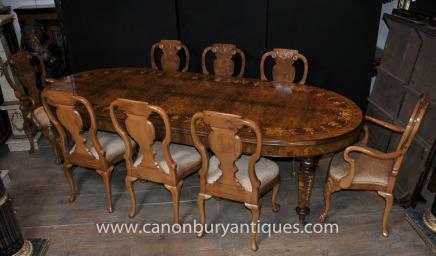 You will be astounded by this classic English farmhouse dining set. 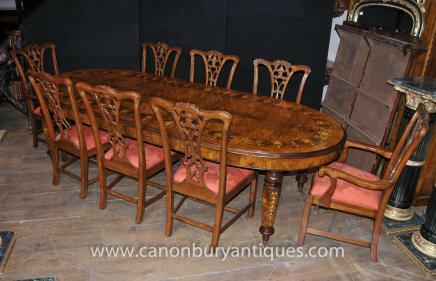 Expanding refractory table and matching William and Mary style chairs are crafted in English oak. 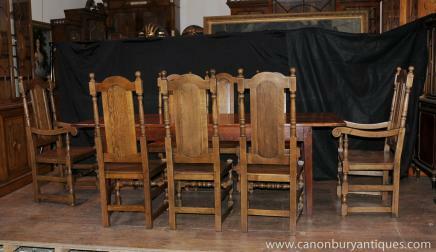 The set of 8 classic chairs surrounds oak refectory table and is a worthy addition to your rich interiors. 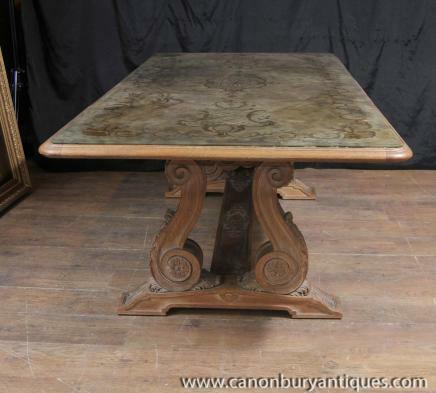 It is good enough to enliven your room interiors or as a perfect kitchen table with lovely farmhouse rustic look. A drawer in front allows ample storage. 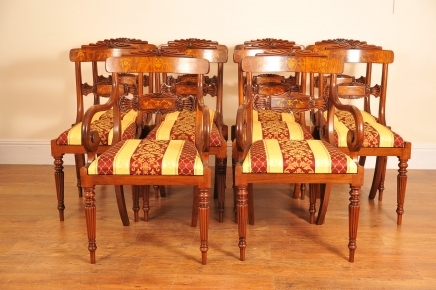 Bought from a dealer in Norwich, East Anglia, this elegant set of table and 8 chairs is in great condition and ready to use at home right away. Shipping available anywhere in the world. You are viewing a gorgeous swivel seat office chair – these really are the classic office chair and are very comfortable to sit in. 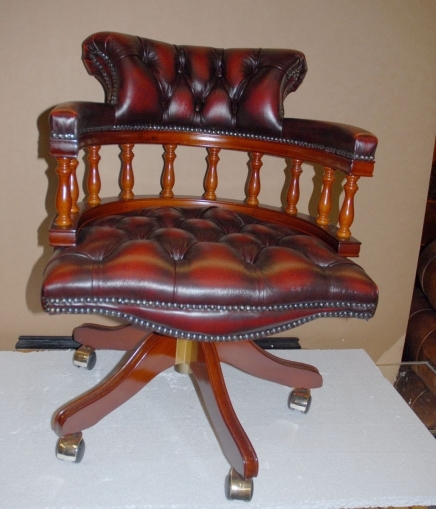 The actual design is modelled on the famous Captains chair which of course get’s it name from the fact that this design was origianlly used on a ship for the captain who could swivel to see all directions. 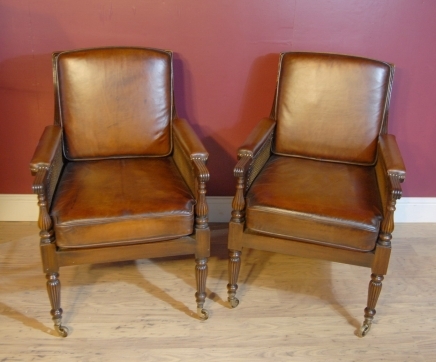 You are viewing a gorgeous pair of French Bergere arm chairs in walnut with leather seats to the back and sides. 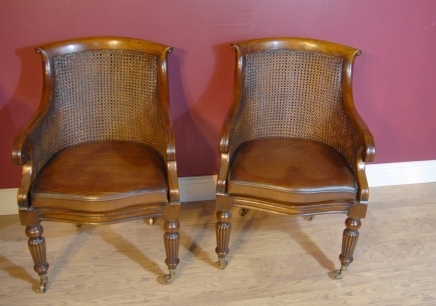 What can you say about the Bergere chair? It\’s a total design classic, they look great as part of any interiors scheme. 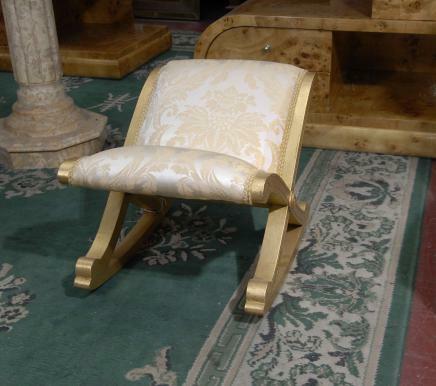 – Stunning French Empire style stool or foot rest in giltwood – Offered in great shape and will ship to anywhere in the world – Bought from a dealer at Les Puces flea market in Paris.